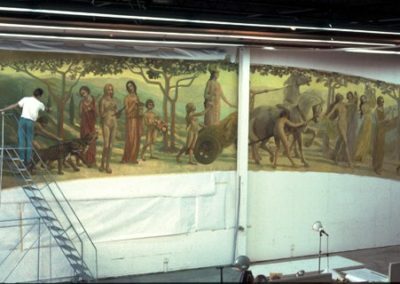 To re-create the missing half of a 1929 “Spirit of Drama” mural for the Hawaii Theatre, Honolulu, originally created by renowned American artist Lionel Walden. 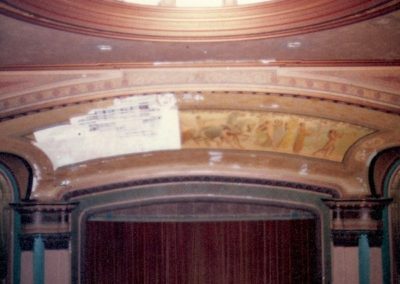 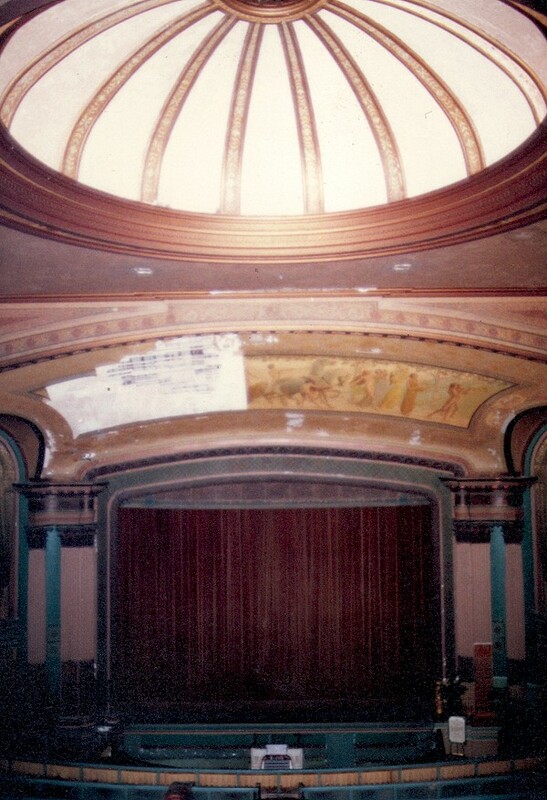 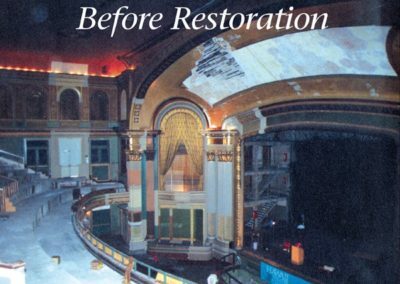 Also to conserve the remaining half of this proscenium arch mural. 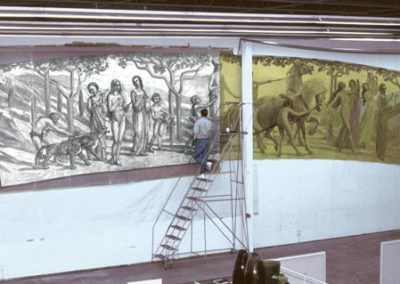 Half of the 30-foot mural had come down during a storm in the late 1970s, and a custodian had unwittingly disposed of it. 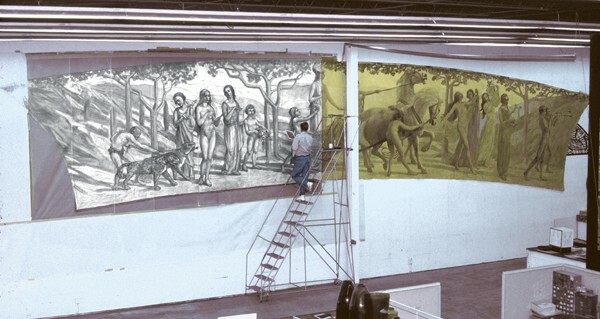 After months of research, photos of the original were found, and the missing portion was reproduced in every detail. 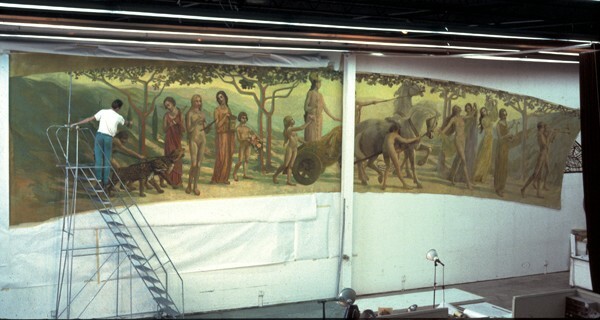 The remaining, original half of the mural was conserved and seamlessly pieced together with the replicated portion. 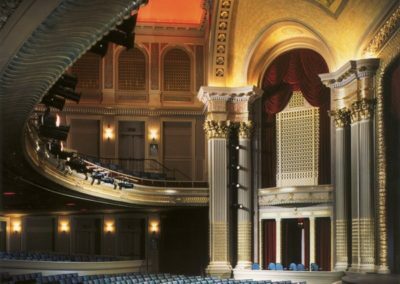 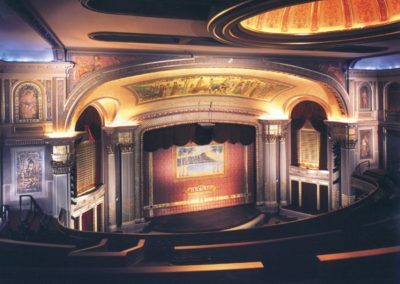 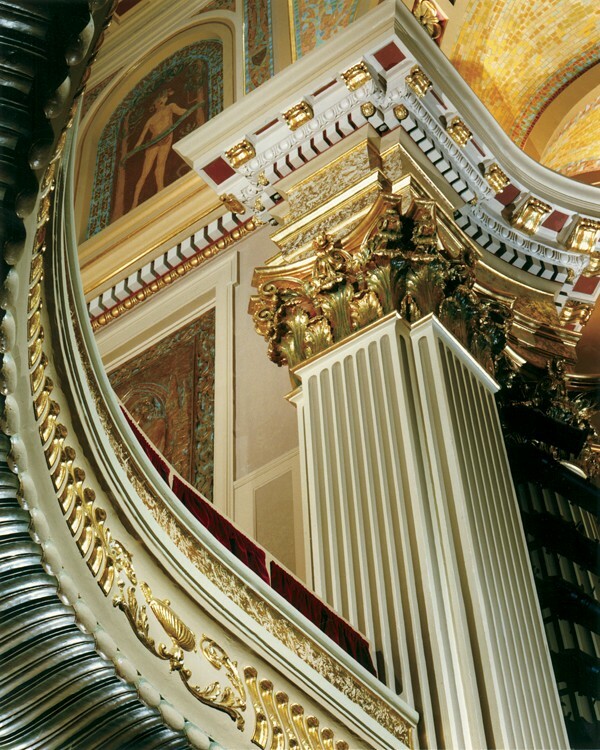 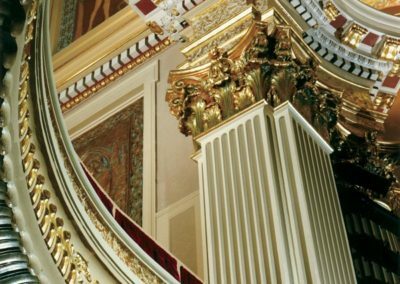 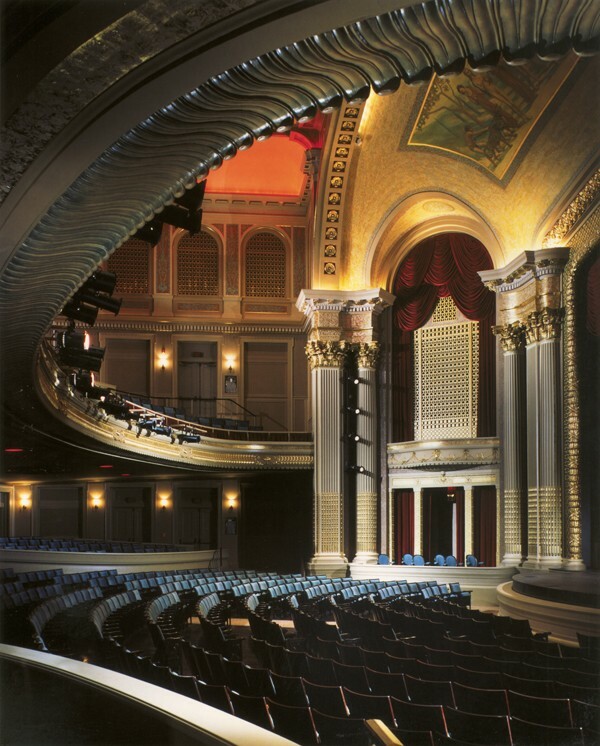 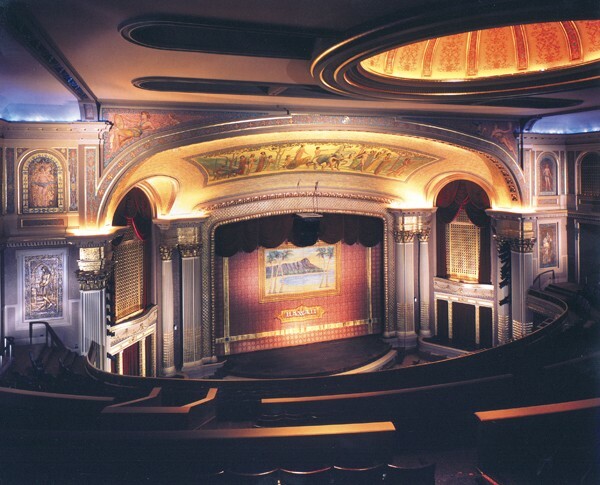 For the Hawaii Theatre, Conrad Schmitt Studios also executed a sample restoration on the gilded Corinthian pilasters adjacent to the stage. 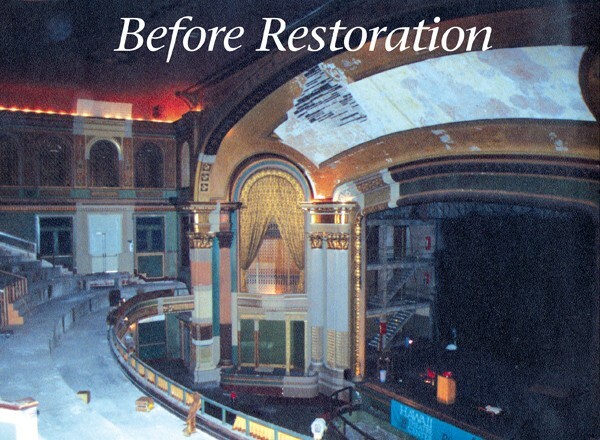 This spurred the fundraising efforts on, and a restoration of the entire interior followed.